Category: Blankets and Throws. Tags: 100% cotton blanket, cotton blanket, gift, Gifts for him, hand woven, made in Morocco, modern blankets, Morocco, New, striped cotton blankets. 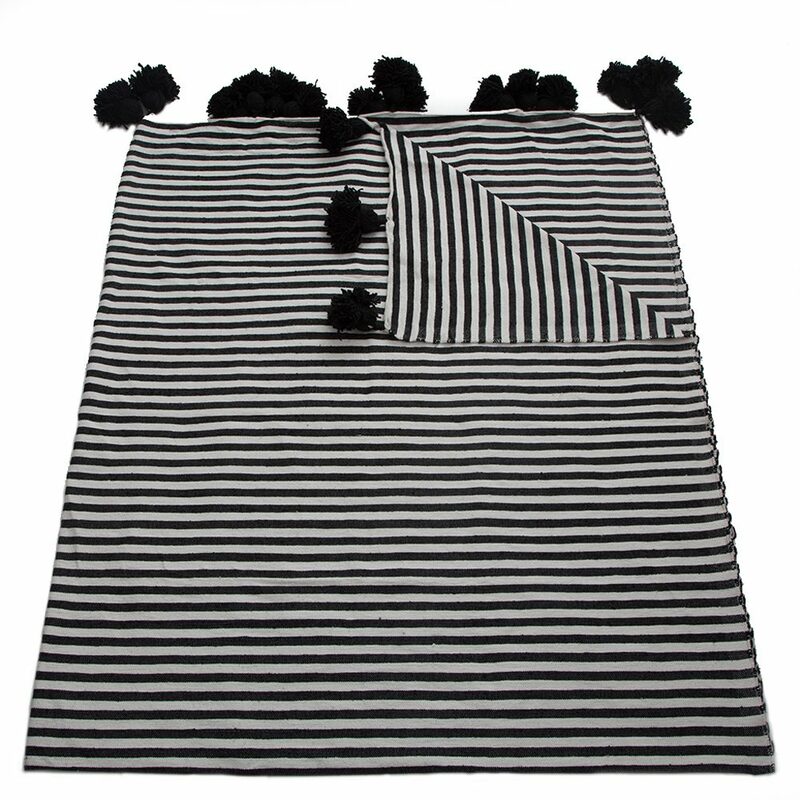 Super stylish black and white striped cotton blankets featuring decorative pom poms at the head and foot. These blankets are hand-woven for us in Morocco by a family of weavers using techniques handed down from father to son over generations. 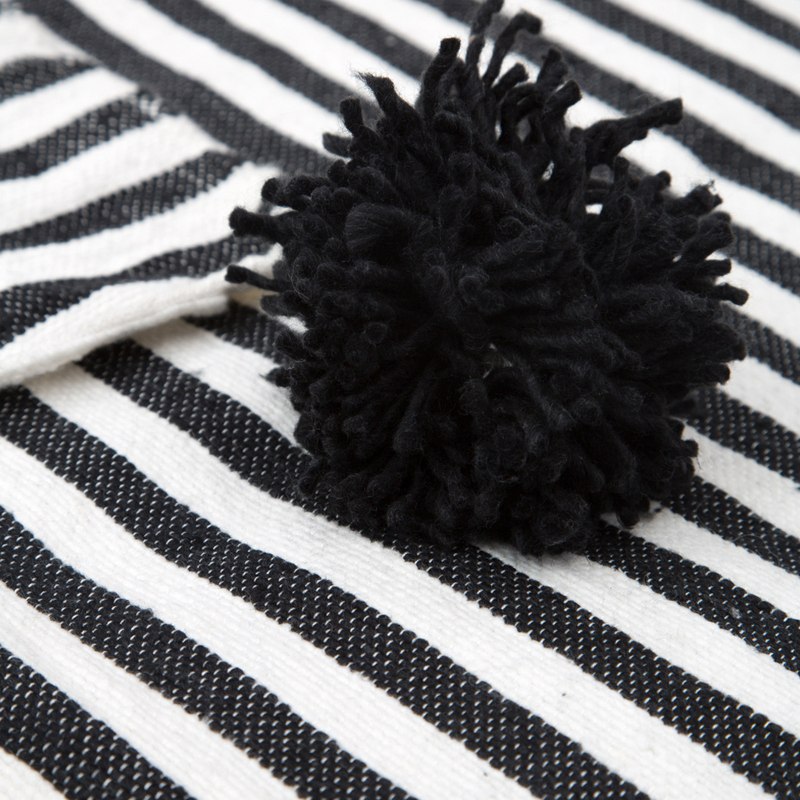 The bold black and white stripes will give a bedroom an instant update.